RIFFLANDIA 2014 Death Cab for Cutie, RUSKO, Hilltop Hoods, Half Moon Run, THE SKATALITES, Paper Diamond, Rich Aucoin, Humans, Miles Anderson, & more! The SKATALITES’ sound is made from many influences dating all the way back to the mid to late 1950s. SKATALITES band have always maintained a heavy jazz and Latin sound as they were influenced by Big Bands both in the US and Cuba. In the early 1960s, the time of Jamaica’s Independence they fused these influences with Jamaica’s traditional music mento/calypso. The word “SKA” named after the sound of the guitar when playing the infectious off beat later became the main beat used in reggae. 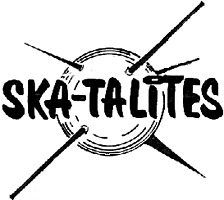 The SKATALITES – originators of ska and later rocksteady were also main contributors of the creation of reggae music in Jamaica. Almost all of the early Jamaican reggae and ska singers such as Jimmy Cliff, Toots and the Maytals, Justin Hinds and the Dominoes and Peter Tosh were accompanied by or worked with the SKATALITES on earlier recordings in the 60s with Coxsone Dodd at the legendary Studio One in Jamaica. Many of Bob Marley’s early tracks such as “Simmer Down” and “Nice Time” were done with the SKATALITES. Today, many of the riddims used by today’s popular conscious dancehall and roots reggae artists were originally created all or in part by the SKATALITES.